How Do You Combine Two Maine Cities? A major project is under way to develop a proposal for merging Lewiston and Auburn into a single city, with intent to present a charter to voters of the two cities in November. The commission has been sponsoring public forums with civic and neighborhood organizations, and will continue into the spring with citizen groups to sort through options and ideas. The commission is working with CGR, A nonprofit organization based in Rochester, N.Y. that specializes in government efficiency. The process led by CGR will prepare a detailed analysis of current processes in the two cities and how they compare. From that study, merger options will be developed for consideration by citizen groups. Final choices will go into a report detailing how services and costs, including those for the schools, will be affected. Chip Morrison joined the Business and Government Services team at Androscoggin Bank in August. He also is doing some part-time consulting for local organizations. Most recently he was the interim executive director for Maine Make-A-Wish Foundation. 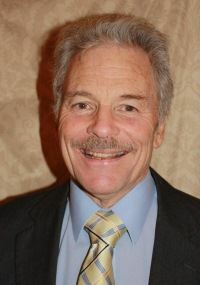 In June Chip retired as President of the Androscoggin County Chamber of Commerce, a position he held since the fall of 1995. Prior to joining the Chamber he was City Manager of Auburn and Commissioner of the state departments of Administration and Labor. He has a bachelor’s degree from Carleton College and a master’s degree in public administration from the University of Michigan. Over the course of his career Chip has won several honors including the State of Maine Public Administrator of the Year, the Ken Curtis Leadership Award from the Maine Development Foundation, the Auburn Citizen of the Year, the Maine Chamber Executive of the Year, and the 2008 Mainebiz nonprofit CEO of the year. Chip is a resident of Auburn where he lives with his wife Jane. They have two grown children, Beth and Brett, who graduated from Edward Little High School, went on to college and graduate school, and who are now in successful careers in the arts and medicine. He joins us to talk about the work of the Lewiston Auburn Joint Charter Commission. He is one of six members elected to that commission in June of 2014 and is secretary of the commission. Everybody talks about communication, and everybody does a lot of it – not always very well. We are communicating whenever we’re around other people, and often when we’re not. While we’ve been sharing information, ideas, opinions, requests and responses all our lives, we don’t often step back to evaluate how well it’s working for us. In fact, we frequently aren’t happy with our communication networks. Why are they the way they are, and what might we do to tune them up? For us consultants, communication is a prime business tool, in all its forms. This Roundtable is an opportunity for us to freeze-frame the constant flow and analyze what goes on. We’ll exchange observations about the positives and negatives of communication behavior, and discuss the nuts and bolts of improving our use of it. Jim Milliken has specialized in communication practices throughout his career, first as a newspaper reporter and editor, then as a manager and – since 1986 – as a consultant. He works with individuals, groups and organizations in every corner of the field. For that reason, his work could be described as generalizing in the specialties. Besides business writing, grammar and editing, Jim also works in negotiating skills, conflict management, delegating and personal selling. His eight-day series of Project Management courses is as much about communicating and relationship building as it is about work breakdowns, Gantt charts and precedence diagrams. Jim’s book, “Life Is a Project: How Are You Managing?” is available on Amazon and from the trunk of his car out in the parking lot. Registrations are required by February 16, 2016. If you want to be included on the registration list at the meeting then you need to register by the due date.